When Jeron Stiffler joined our production team last spring he brought more to MPS than his skills as a machinist, welder and fabricator. We soon learned about Jeron’s passion for the martial arts and his dedication to training, competing and paying it forward by teaching others. In addition to being a certified black belt in Karate, Jeron competes in Muay Thai Kickboxing, Jiu-Jitsu and American boxing/MMA. 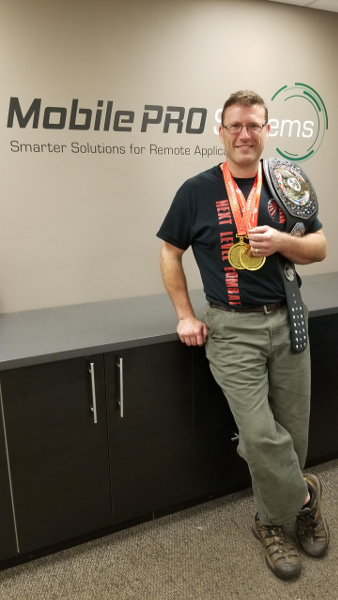 In June 2017, he fought for and won the Championship Belt for the Senior Mens Novice Championship at the Thai Boxing Association National Tournament held in Des Moines, Iowa. Jeron describes this tournament as “the mecca of American kickboxing” with 800 men and women competing from around the world. This year he claimed two gold medals in the Jiu-Jitsu Minneapolis Submission Challenge which requires a completely different skillset as there are no punches or kicks allowed; the match is won or lost by submission only. 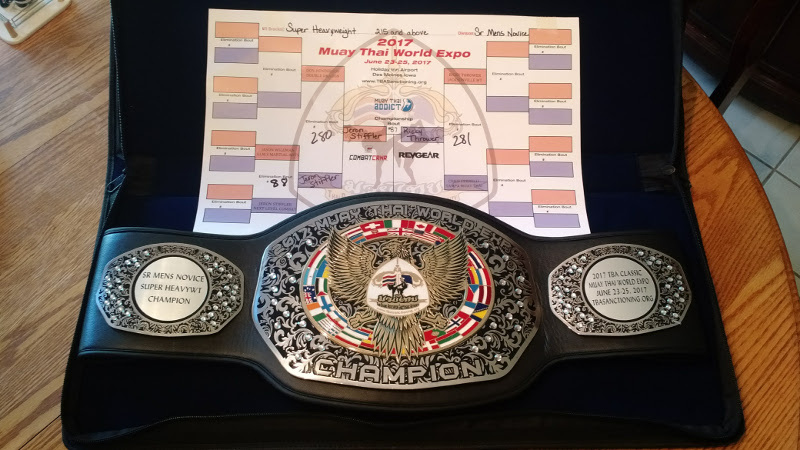 Muay Thai Championship Belt, Senior Mens Novice Division, Jeron won at the Thai Boxing Association National Tournament in June 2017.